Explore each of the three versions the best software for SEO on the market below to see which one will fit your business best! Are you looking for the best SEO suite on the market that will save your time, money and most importantly help you outrank your competitors? Then look no further. Watch our quick tour to learn how SEO Suite optimizes your website and increase your web traffic. 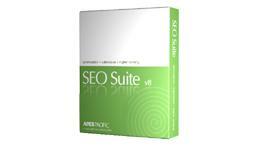 Download free version of SEO Suite today and start optimizing your web site. Purchase SEO Suite today and Get all the powerful features start optimizing your web site. Discover how to optimize your website in minutes! Build quality back links..without spending hours manually submitting it yourself! Monitor your ranking for any keyword and website…at the click of a button! We understand that everyone has distinct needs when it comes to search rankings. That's why we've developed 3 versions of our SEO tools software to ensure you succeed in achieving higher website rankings and greater online sales for yourself or your clients. The Corporate edition is specifically designed for consultants and agencies to manage projects easily and efficiently, while the Standard and Professional editions are designed for small to medium businesses. Ratings! SEO Suite has been rated 5 out of 5 by more than 51 reviews. Read 114 user reviews on our testimonial page. Reporting Tools and much more.. The Corporate edition in particular is designed to make managing client accounts easier and faster with better results through advanced agency features such as project management, advanced technical optimization reports and advanced customized reporting. It also offers white label reports, automated email reports sent to your clients and networking and information sharing between account managers for improved communication and service execution.